Deal Physical damage to target enemy and inflict Target Lock for 2 turns, which can't be Evaded or Resisted. Target Lock: Inflict 2 Damage Over Time effects for 3 turns. Target Locked enemies have -25% Tenacity and immediately regain Target Lock for 2 turns whenever Target Lock expires on them. 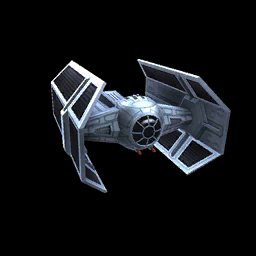 In addition, Empire allies gain 15% Turn Meter whenever they attack a Target Locked enemy. Enter Battle: Inflict 3 Damage Over Time effects and Offense Down on all enemies for 2 turns, which can't be Evaded. Gain 25% Turn Meter for each debuff on target enemy. Then, inflict Evasion Down and Ability Block on them for 2 turns, which can't be Evaded or Resisted. Target Lock: Dispel all buffs and remove 100% Turn Meter.